by Pierre-Roland Giot, Philippe Guigon, Bernard Merdrignac with contributions of several other scholars. Edited by Tempus, 2001, english version was written thanks to Barry Cunliffe, Wendy Davies and Frank Wagstaff. Original title Les Premiers Bretons d'Armorique, Presses Universitaires de Rennes. 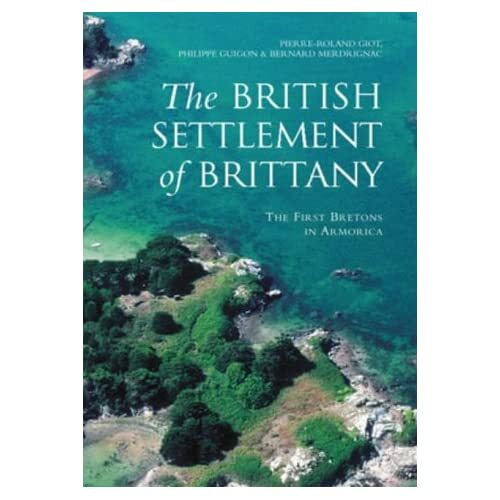 Im currently re-reading this book, this is a major scholar work using both historical, archeological and hagiographical sources to explain the settlement of Brittany by the Britons in late roman and early medieval times, summing up decades of research by people like Léon Fleuriot, Bernard Tanguy or André Chédeville. A book to have for anyone interested in the Briton migrations and relationships between Britain and Gaul in sub-roman times. It's a real chance such a work was translated in english.